To restore a WhatsApp backup, you have to uninstall the app and then re-install it. For the longest time, this obstacle has plagued many WhatsApp users who would want to find a way to restore WhatsApp without having to uninstall the app. Even though this process of restoring data to your WhatsApp account can be highly effective, it still causes undue waste of time and may not even go off as expected. If you are one of those people looking for an alternative way to restore WhatsApp without having to uninstall the app, you’ve come to the right place. In this article, we share with you a simple way to do it, right after we analyze the various problems you may encounter when restoring a WhatsApp backup. Even when you do everything right, there is still the likelihood that everything may not go as planned. We have come across a lot of complaints in forums from people who claim the WhatsApp restore process gets stuck at one stage or another. Take MuhamedSeif who claims that WhatsApp got stuck loading the restore from iCloud for more than 2 hours. Or Amaruta-2013, who says that her WhatsApp restore process has been stuck at 47% for nearly two days. Because the restore process may not go smoothly, it is a bit risky to uninstall the WhatsApp app before restore. So what if you could avoid all of these problems and restore WhatsApp without having to uninstall the app from the device? Well, with iMyFone iTransor, you can do that very easily. 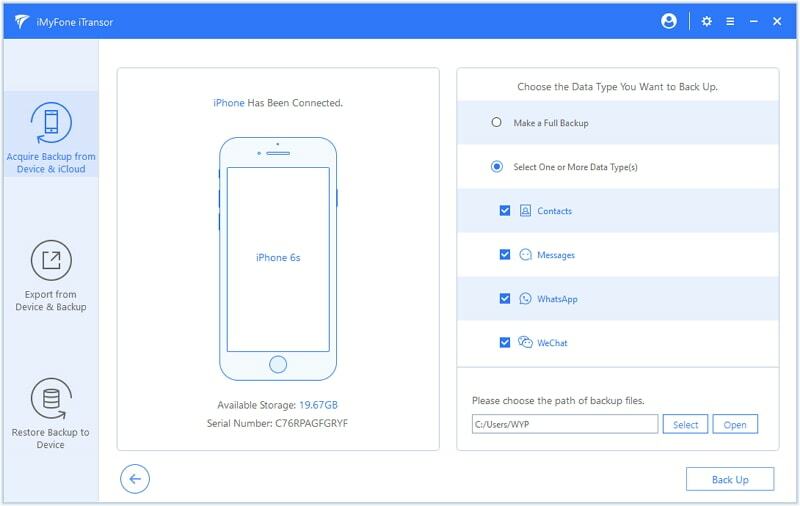 This backup and restore tool is one of the easiest ways to back up and restore only WhatsApp data on your iPhone without uninstalling. 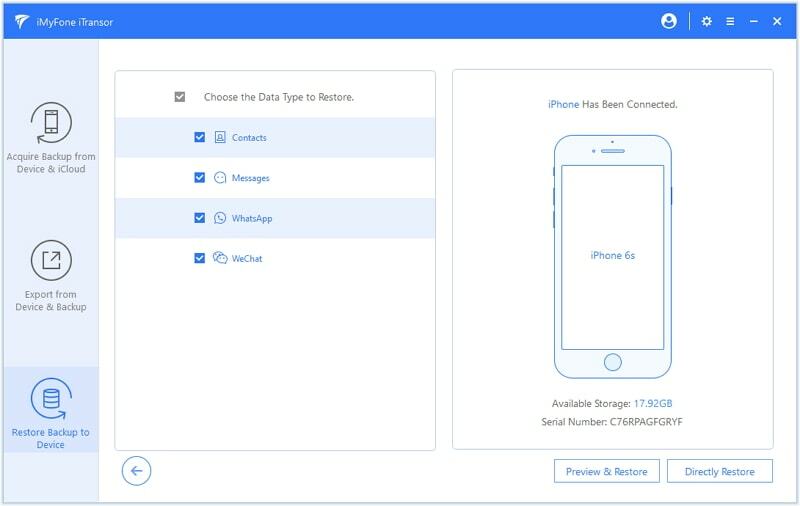 You can use this program to restore data to the iPhone from an iTunes, iTransor or an iCloud backup without data loss. It also allows you to merge WhatsApp data in your backup and iPhone. You can use iTransor to back up your WhatsApp on computer instead of iCloud. Step 1 Launch iTransor and then connect the iPhone to the computer using USB cables. Now, go to "Acquire Backup from Device & iCloud", click on Back Up Device > WhatsApp > Back Up. 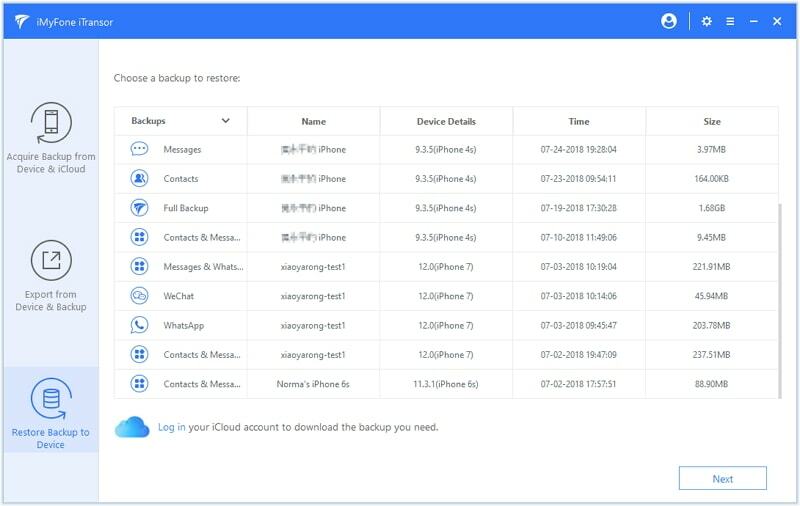 You can also back up WeChat, SMS, Contacts using iTransor. Step 2 Wait for the process. 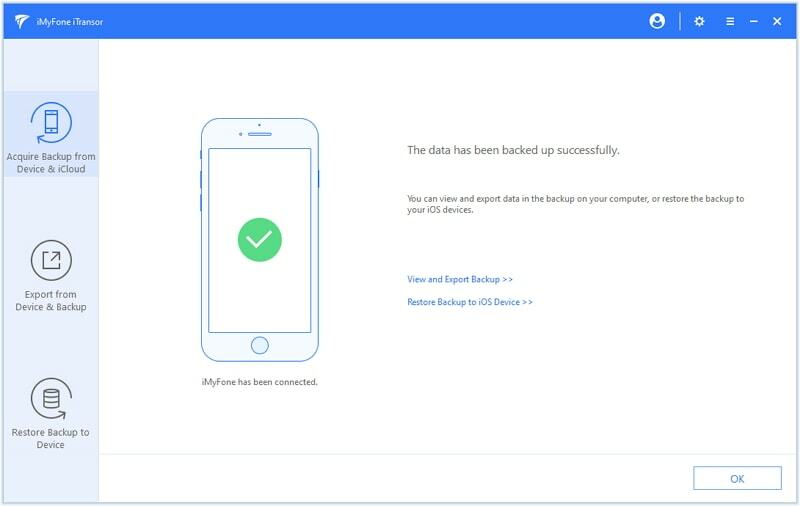 When it is finished, you can restore your iPhone from the backup without affecting any other data on your iPhone. Step 1 Launch iTransor and then connect the iPhone to the computer using USB cables. Now, go to “Restore Backup to Device” and choose either a backup that contains the WhatsApp messages you need. 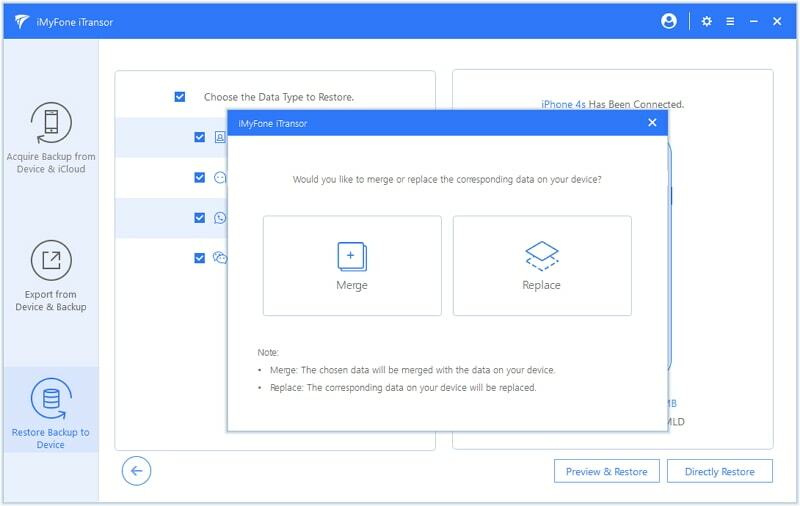 Step 3 In the popup that appears, choose whether you want to merge or replace the new data with what is on the device. Tip: Will you receive messages sent to you when you uninstall the App? The biggest question most people have when restoring WhatsApp is whether they will get messages sent to them while the app was uninstalled during the restore process. The simple answer is yes, you will eventually get those messages sent t you while the app was uninstalled, but not right away. You will get them a little while after you re-install the app.